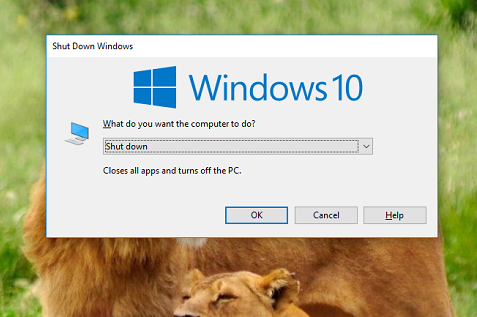 Microsoft provides a number of ways to quickly shut down your Windows 10 PC. It is a simple method to quickly shut down, sleep, hibernate your PC or turn off the display. Open your Settings from the Start menu, go to System settings and tap Power & Sleep settings from the left sidebar. You will see Additional power settings on the right side of the screen. Choose What the power buttons do from the left side menu. Now you can decide what Windows should do when you press the power button. It allows you to shut down, sleep, hibernate PC or turn off the display. In the same way, you are able to configure the lid closing action as well. Save changes. This’s the regular method we use. 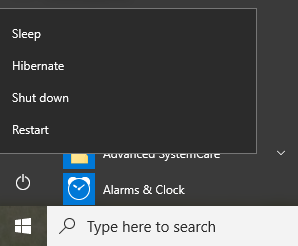 Just click Power in the Start menu and choose Shut down from the small popup box. The computer will be shutting down shortly. Right click on the Start menu icon in the task bar. You will get a couple of Windows shortcuts in a popup menu. 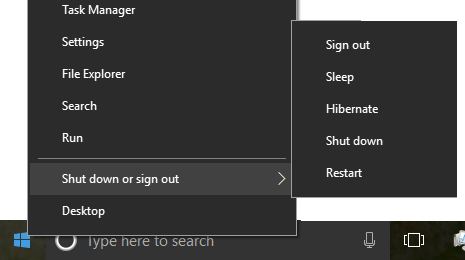 Mouse over Shut down or sign out to get additional options. Choose Shut down. Press Alt+F4 together to open Power menu of your Windows computer. The shutdown option is selected as default. Click OK or Enter button on the keyboard.